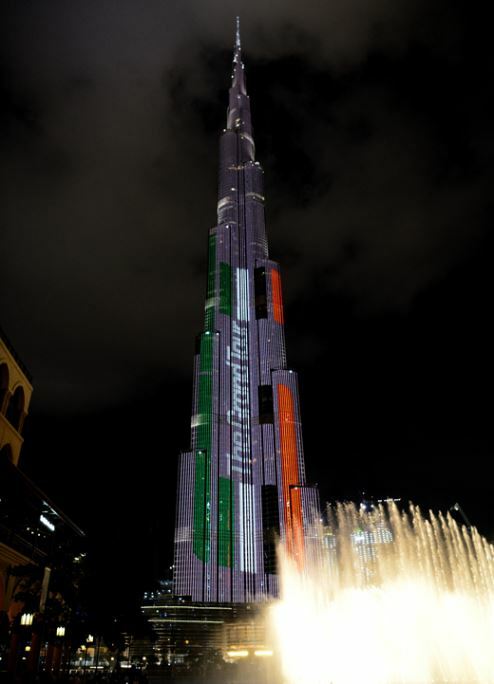 The Burj Khalifa and the Dubai Fountain have been rated as the top two UAE tourist attractions by international visitors to the destination. That’s according to Dubai-based tour operator, Arabian Falcon Holidays (AFH), which surveyed 1,212 tourists, asking them to vote for their favourite tourism hotspots. The world’s tallest building and the spectacular Dubai Fountain display, both located at Downtown Dubai, next to Dubai Mall, ranked highest. Other popular attractions including Dubai Aquarium and Underwater Zoo at Dubai Mall, the Palm Jumeirah and several malls and restaurants across town were cited by survey respondents. The AFH survey also revealed international tourists prefer family destinations. In addition, more than 70 percent of international tourists surveyed said they were keen to stay longer in the UAE and to explore Dubai more – a clear indication of the city’s strong global appeal. The desire to stay longer meant exceeding their one- to two-week holiday bookings, according to the AFH survey. Nearly 50 percent of survey respondents were already spending between four and seven days in Dubai, while 23 percent were staying for up to two weeks and 8.5 percent for longer than two weeks. “The strong vision of Dubai's leadership has led the emirate to outpace global tourism growth,” said AFH founder Al Mohannad Sharafuddin. Increased investment in tourism infrastructure, as well as government initiatives designed to promote the happiness of residents and visitors, including the launch of the Smart Happiness Index, made Dubai a “highly attractive destination” that offered an “unmatchable experience to international tourists”, he continued. “Speedy and comfortable procedures, starting right from the time you enter the airport, a friendly and efficient customer service, in addition to a large number of unique destinations offering attractions for all age groups and interests, make Dubai the place of choice for families and businesses alike,” Sharafuddin added.